What are some of your favorite fall-flowering plants? Why is autumn such a good time to plant? Pry yourself away from the latest football game and join us on Twitter for #Plantchat. Plants with several seasons of interest are best, especially for small gardens where every square inch counts! Warm soils mean faster root growth, and late fall soils (after the hot summer sun) have warmer temperatures than in spring (after the cold winter snows and rains). And if your perennial or deciduous ornamental shrub drops its leaves, there is less chance that it will dry out while it is rooting in place. Soils are easier to work in fall, and plants that are planted in the autumn are larger and better grown next spring, having picked up another whole season of growth. 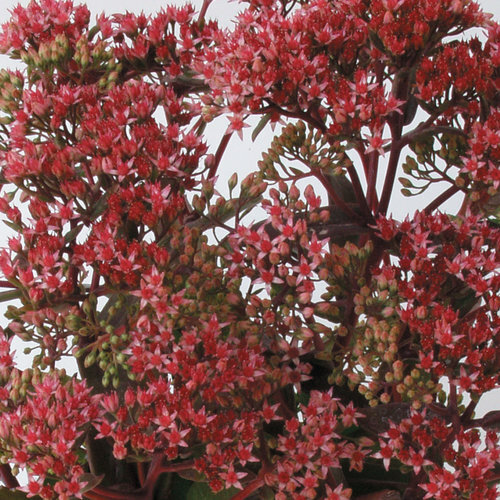 Don't miss some of our fall-flowering or fall-fruiting favorites, such as Scarlet Brocade Sedum or Stonecrop, pictured. Get tips and hints from the team at Proven Winners on #Plantchat! Join @CoronaTools and #plantchat co-partner, Stacey Hirvala, Jane Beggs-Joles and Shannon Springer representing Proven Winners @Proven_Winners on this week's topic, Favorite Fall Plants. 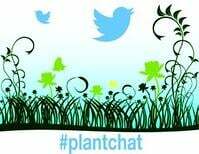 The live chat begins Monday, September 8, 2014 at 11 a.m. PST / 2 p.m. EST, were we come together with green industry experts and fellow horticultural tweeps each week to discuss all things related to plants and horticulture, since 2014. Fall is such a great time in the garden, it would be a shame to miss the chance to make it as fabulous as summer.